Writing on an assigned topic takes me back to high school and college classes and after having penned this blog for seven years without assignments I must admit that it's a lot harder than I thought it would be. However dangling the dual carrots of free registration to the 2014 Beer Bloggers Conference in San Diego and a free trip to the National Beer Wholesalers Association's Annual Convention in New Orleans was enough incentive for me to take a crack at a post on the wide topic of "America's Beer Renaissance: Consumer Choice and Variety in the U.S. Beer Market." Portland, whether or not that other city believes it, is the craft beer capital of the U.S. and last Saturday was a perfect example to support that claim. January is historically a quieter time of year for beer goings-on with some people recovering from the hectic holiday season, others slogging their way through winter by hunkering down and a few determined souls sticking to their New Year resolutions to eat better/drink less/be healthier. You wouldn't have guessed that by the fact that the lucky beer ducks in Portland had a choice of four, yes four, beer festivals happening simultaneously. 1. Portland U-Brew Winter Brew Fest - The combination homebrew supply store/brew-on-premises facility/brewpub hosted a beer festival showcasing 10 beers, six of their own making and the rest from other local breweries. If that doesn't sound exciting enough, there was one beer brewed with gummi bears and another with candy canes and M & M's. 2. 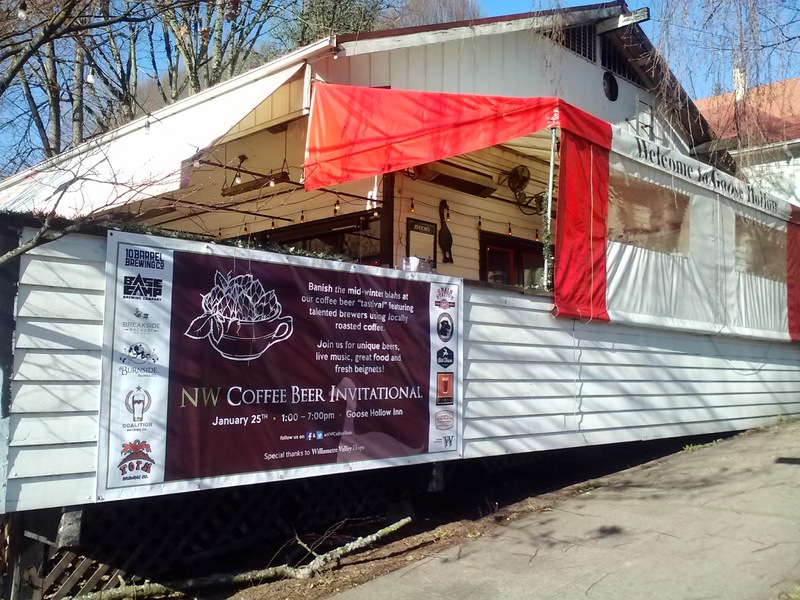 NW Coffee Beer Invitational - The organizers of this inaugural festival clearly didn't think a January date was undesirable to host an outdoor festival that brought together 12 breweries, all utilizing coffee in the creation of their brew. The offerings weren't just limited to the usual suspects - stouts and porters - but also included a berliner weiss and a couple of IPAs. 3. 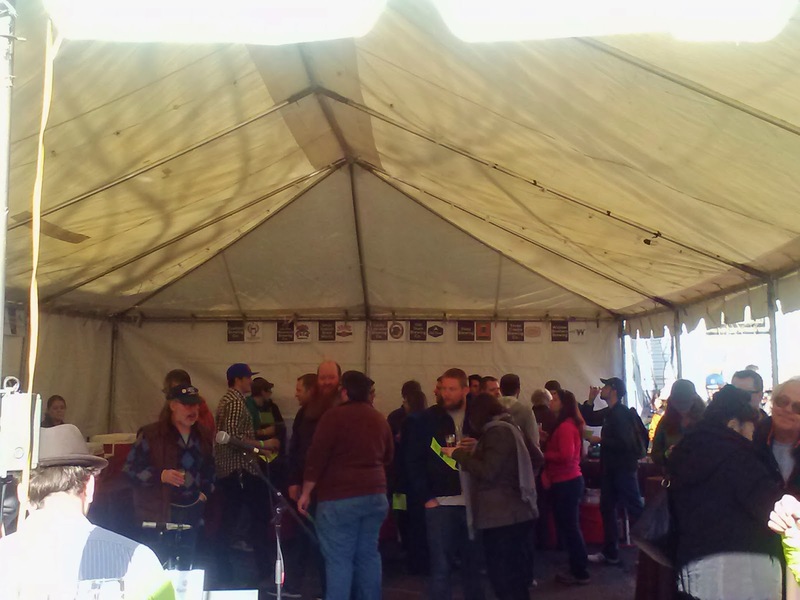 Bailey's Taproom CellarFest - One of the best taprooms in Portland, Bailey's annual festival digs deep, into their cellar that is. The beer list featured over 20 beers going back as far as 2008. Most of them topped 9% ABV, being imperials and barleywines, but there were also a few aged sour beers to keep things interesting. 4. Belmont Station Bigger Badder Blacker Week - One of the top bottle shops in Portland was in the midst of their week-long festival, an "annual trek to The Dark Side" that offered a multitude of rare, big beers. 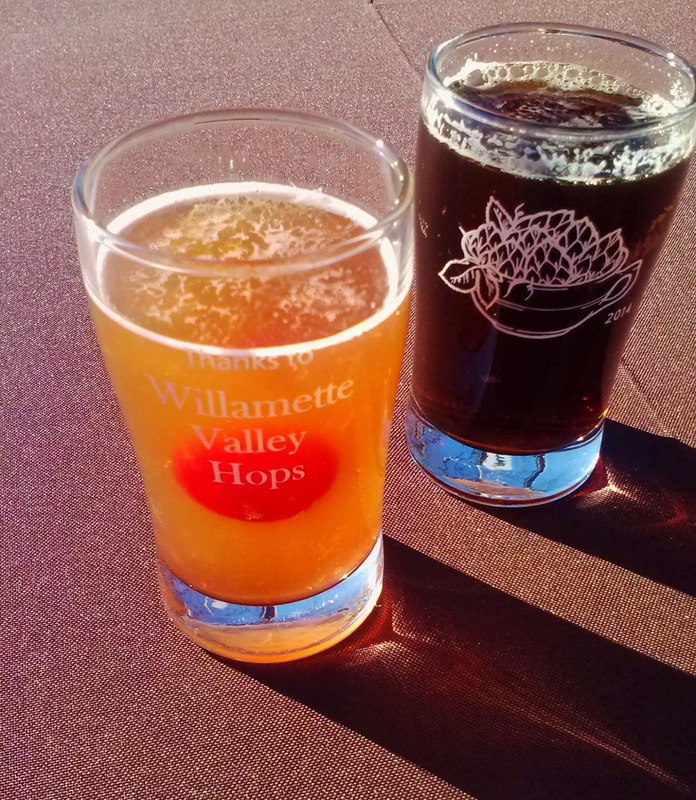 Saturday featured imported beers, a departure from the other festivals that were pouring beers primarily from Oregon or West Coast breweries. Admittedly these festivals were smaller than the five-day extravaganza of the Oregon Brewers Festival held in July along the Portland waterfront and its winter counterpart, the Holiday Ale Festival. Nevertheless, I challenge you to find any craft beer lover that wasn't torn trying to decide where to spend their Saturday imbibing. In total there were over 50 beers available from these four events alone expressing the creativity of the brewers that so generously keep us from going thirsty. If that doesn't illustrate choice and variety I don't know what does. We all have expectations - when we see the name of a brewery we recognize or when we see a certain style of beer. Even before there is conscious thought there are the unconscious, built in feelings toward them. What happens next, whether you go with your expectations, your instincts whether or not to order X style of beer from Y brewery, is where the difference lies. Perhaps you've had a long day and you want a sure thing in your glass. Perhaps you're feeling adventurous or heard good things about something you normally wouldn't order. 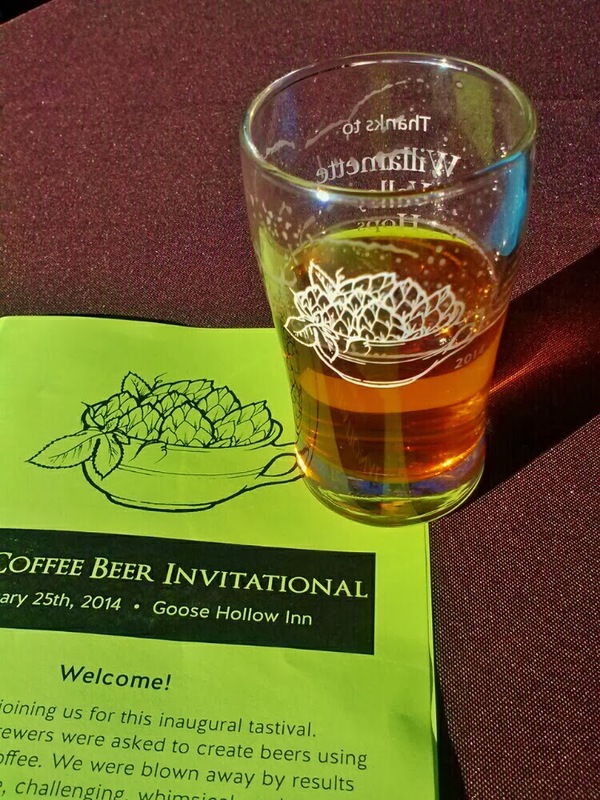 This past weekend I attended the inaugural NW Coffee Beer Invitational at the Goose Hollow Inn. The festival was the brainchild of brewer Dave Fleming and featured 12 breweries who crafted their beer with coffee from a local roaster. Being a coffee lover and a beer lover it was a no brainer for me to attend. It was also a no brainer for me to review the beer list ahead of time and naturally I started to form some expectations. Attending the festival with my better half, our admission packages combined meant we had 12 tickets, perfect to drink our way through the 12-beer line up. Of the 12 breweries participating I'd had beers from all but one and naturally favored some over others. What ended up happening, not an uncommon occurrence at festivals, is that my expectations and my taste buds didn't line up across the board. On this day, however, I was more surprised than usual with the results. My two favorite beers of the festival came from Widmer and Fire on the Mountain. In this town Widmer is a staple and I often overlook staples, unfairly. Their Scared Half to Death mocha pale ale reminded me that while they might be one of the bigger players in the craft beer scene, they didn't get that far by not being able to brew great beer. This beer was all cold-press coffee, starting with the aroma and following through to the flavor, with the additional twist of retaining the color of a pale ale. Fire on the Mountain is known by many for their super-awesome-incredible wings (you guessed I like them, right?) and a few years ago they started brewing. They've steadily been improving their beer and their Nutty Irish Mud stout was a testament to their potential. The base beer was Electric Mud which they conditioned on hazelnuts, cold-pressed coffee and whiskey soaked oak chips. As with Widmer's beer this one started with great aroma follow by great flavor, in this instance the hazelnuts took center stage. If you went to the festival I hope you enjoyed it as much as I did. If you didn't go to the festival I'd be interested to hear, after looking at the beer list below, which beers you would expect to like and why. Is it because of the brewery? Is it because of the style? Is it because of the coffee used? This week I was thrilled to hop on one of the newly wrapped, beautiful Brewvana buses for a three-course beer pairing dinner. Having done all of the planning for the tour it was extra special that I was able to enjoy, quite literally, the fruits of my labor. The first stop was Beer on SE Stark for what in the early stages of planning was simply soup and two beers. Even after learning what the soup was going to be prior to the tour it in no way prepared me for the deliciousness that would be presented. 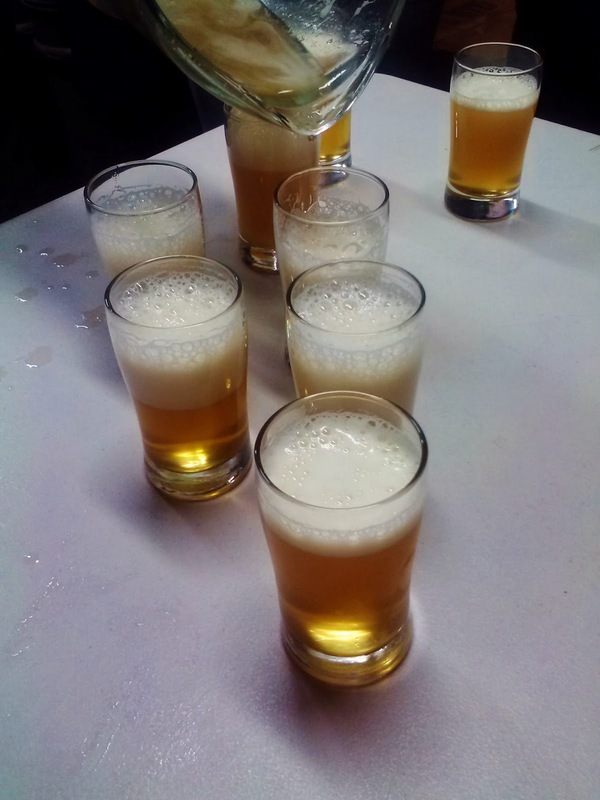 Our first beer of the night was a crowd pleaser: Pints Brewing Amerikaner In Berliner Weiss. Low in alcohol, lightly tart and loaded with flavor it's one of my favorite beers Alan has made. 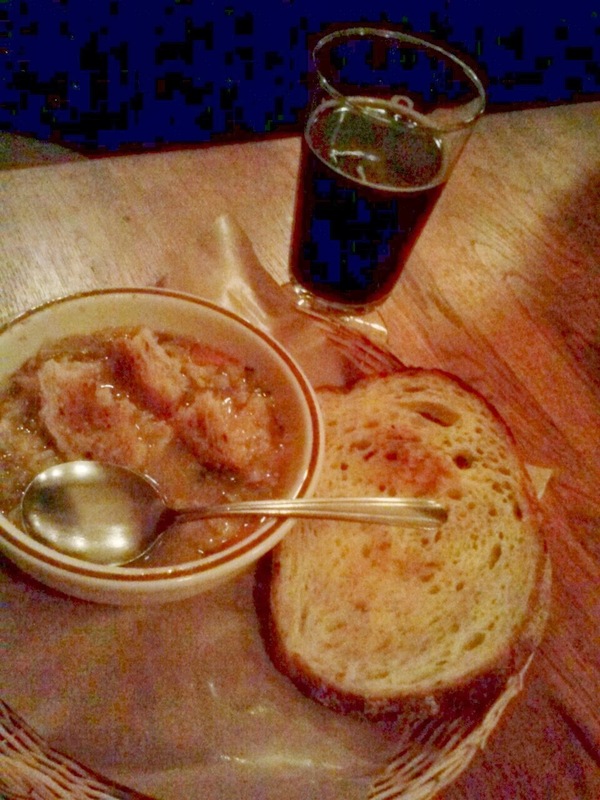 Up next was the soup, a generous bowl of pastrami and cabbage soup with light rye bread, and Double Mountain Black Perle Double Stout. The 9.5% ABV beer was a great match for the full flavored soup and I would have been quite content to halt the night right there, ordering additional soup and stout. Alas, once our bowls and glasses were drained we hopped back on the bus. 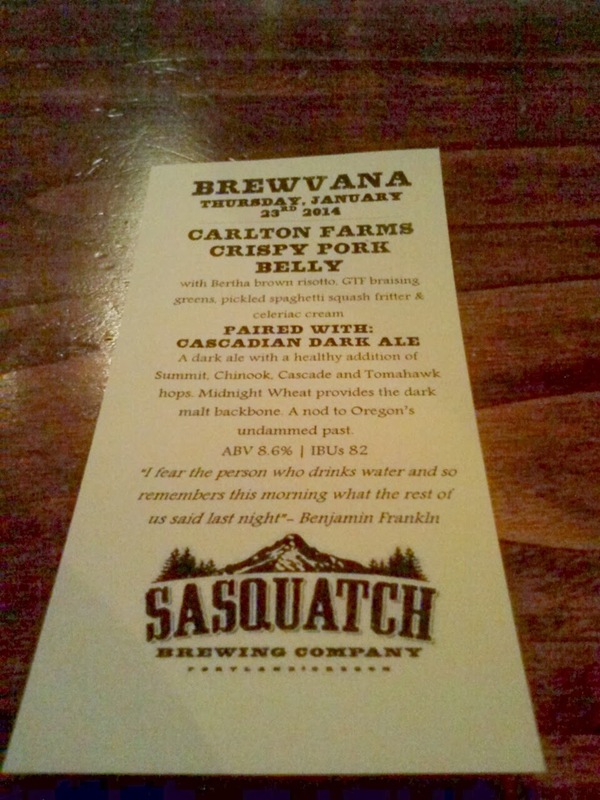 A short jaunt across the river took us to Sasquatch Brewing in Hillsdale. Upon arriving we were led back to a table laid out for us, complete with personalized menus. Shortly thereafter plates of our entrée, crispy pork belly atop Bertha brown risotto with braising greens accompanied by a pickled spaghetti squash fritter and celeriac cream, were brought out. I was sold at pork belly and enjoyed every morsel of it but what really blew me away was the fritter. I mean have you ever heard of pickled spaghetti squash? And on top of that made into a fritter? It was beyond delicious. Paired with the amazing food was their Celilo Cascadian Dark Ale. I love CDAs and this was a great compliment to the rich, full bodied meal. With two incredible courses down, we headed out for stop #3 - dessert. 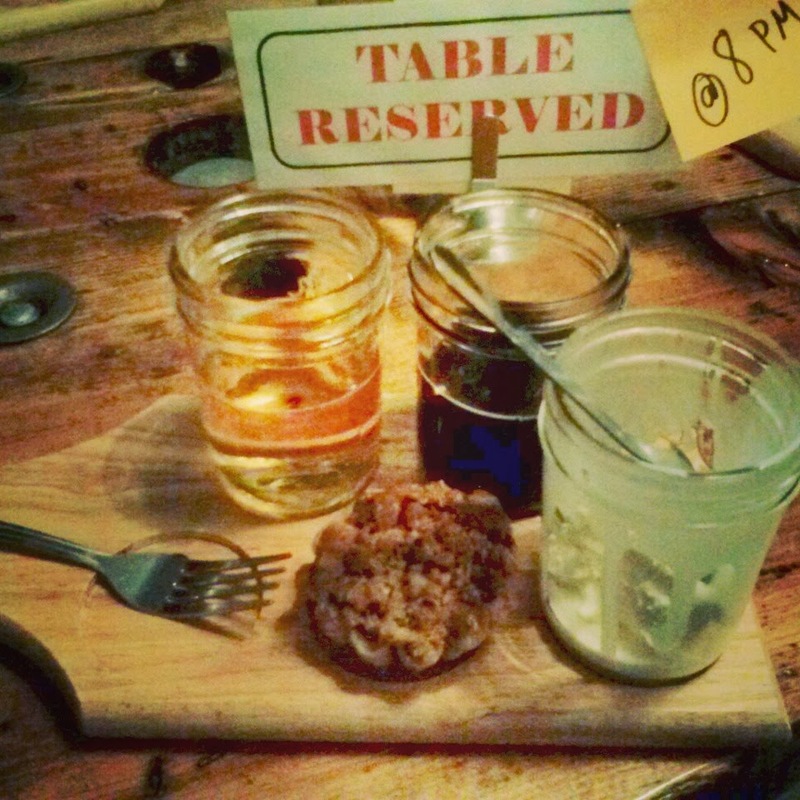 Imperial Bottle Shop was our destination where owners Shawn and Alex had paired Lauretta Jean's blackberry-raspberry mini pies with two beers and a cider. To top that all off, there was also a serving of Salt & Straw's olive oil ice cream. Both the Block 15 Figgy Pudding and the cider were great with the pie and the Fort George Coffee Girl Imperial Stout was magical with the ice cream. The final course rounded out a very delicious and enjoyable night. As a coffee drinker and a beer drinker I consider coffee beers as the perfect union. I don't recall what my first coffee beer was but two that have been around for a while are Surly Brewing Coffee Bender and Furthermore Oscura. I don't get many of either these days but thankfully I've seen a considerable uptick in the number of coffee beers in this market. 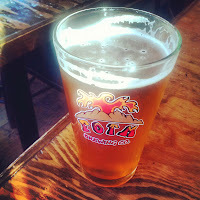 Over the weekend I stopped in at Bailey's Taproom and had an amazing one - Old Town Brewing Ol' Joe. Brewer Bolt Minister has been turning out great beers in general and this is just another example of his fine work. Technically it's an old ale brewed with coffee, thus the 7.25% ABV, which is likely the reason for the amazing mouthfeel. Combined with great flavor, this is a beer I hope to enjoy more of. Beyond coffee beers that have the expected dark color both Cascade Brewing Black & White Oblique Coffee Stout and Harvester Coffee Pale Ale are delicious head scratchers. They have a color you would expect from a pale ale or IPA so that's what you would expect from the flavor. But no! A second taste, this time with one's eyes closed, and you would swear that the color must be a dark brown or black. 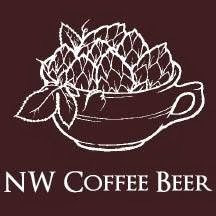 All of this coffee beer talk leads me to a festival coming up this Saturday. 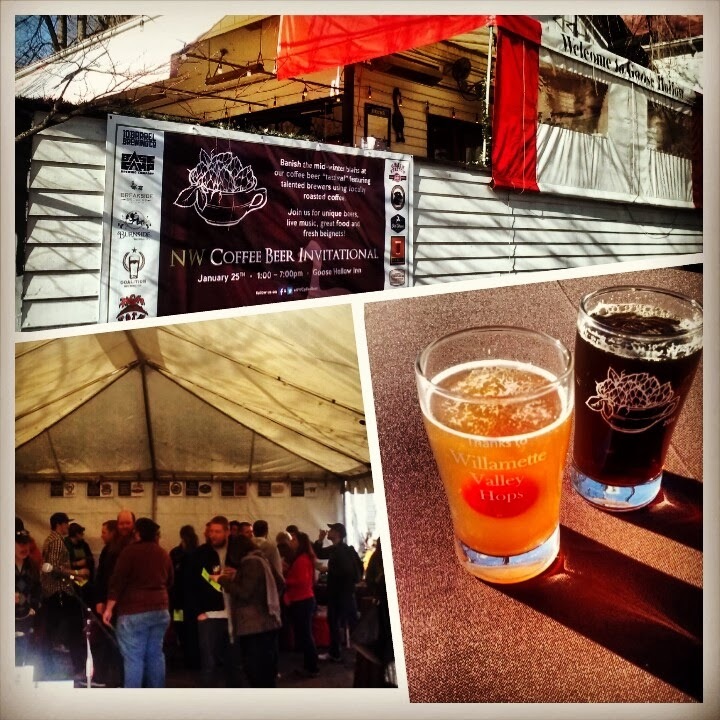 Goose Hollow Inn, on the west side of downtown, is putting on the NW Coffee Beer Invitational. Since I first heard about it a couple months ago it's something I've been looking forward to. The festival will showcase the work of 12 brewers that incorporated locally-roasted coffee into their entry. If you enjoy coffee beers I'm pretty sure you don't want to miss out on this. 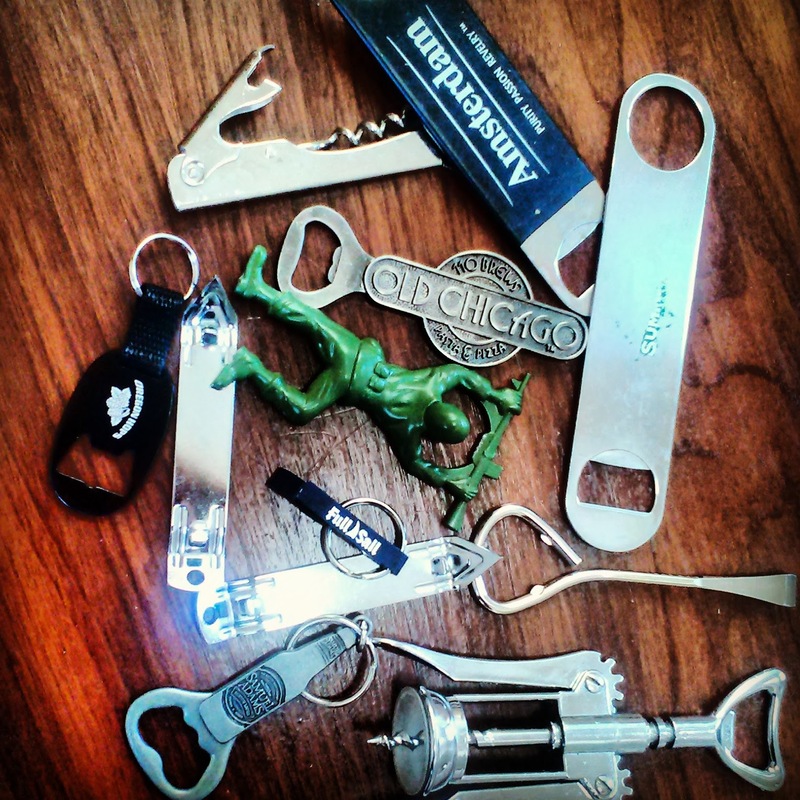 How many bottle openers do you own? I bet you don't know; I don't. These ones are just from the kitchen drawer. I know there are others: in my car, near the beer fridge, in my luggage, attached to key rings, with the camping gear and who knows where else. Now, regardless of the number of openers, which is your favorite? My top two are the green army man (which actually belongs to my better half) in the center of the picture and the paint can opener one that's almost touching his right hand. Army man wins for coolness factor and the fact that he could double as a hand held weapon should anyone try to snag my beer. The other one, which I did in fact purchase at Home Depot in the paint department, wins on bottle cap gentleness. Seriously, if you want to open your beers and cause zero damage to the cap, go buy yourself a few of these $.97 openers. Before acquiring fancy bottle openers or being concerned about dinging the cap, flat ones, like the two in the upper right hand corner of the picture were my go-to favorite. In fact the one with "Summit" nearly worn away was THE bottle opener for years. These flat, heavy duty openers don't take crap from any bottle cap and slide nicely into a back pocket. I just received a couple of new ones in the mail from Custom On It, in orange, which is sure to make it stand out in the drawer. I'm interested to hear why your favorite opener has earned that honor. Is it because of where you got it or who gave it to you? Is it because of its unique design? Or, like me, are you more practically minded? If you have a picture of it, great; link to it (since the comment box doesn't seem to have an attachment feature). 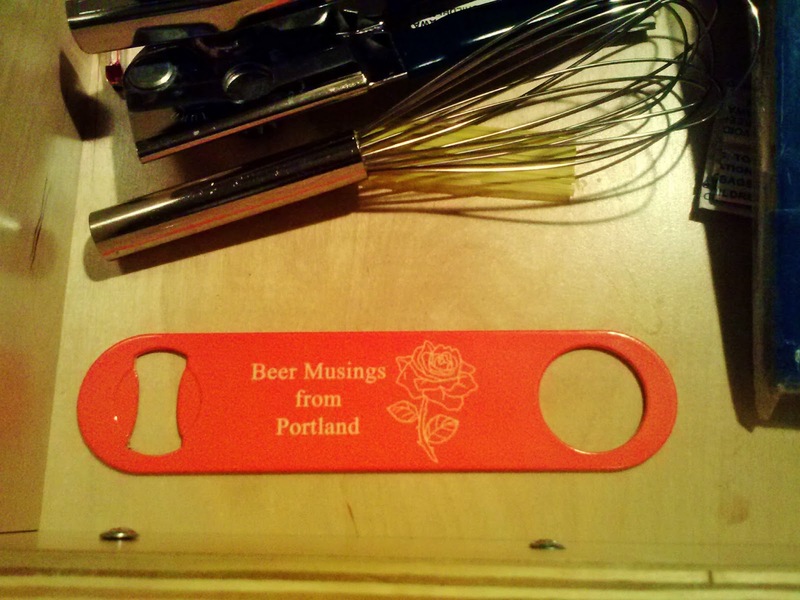 I'll select one commenter to send one of my new, orange Beer Musings bottle openers to. A while back I did a post about happy hour deals. That's all well and good if you want to go out and drink but what if you would prefer a night in? Or maybe you're going to a friend's house and you need to take a tasty adult beverage. Then you're going to need something a bit more portable. 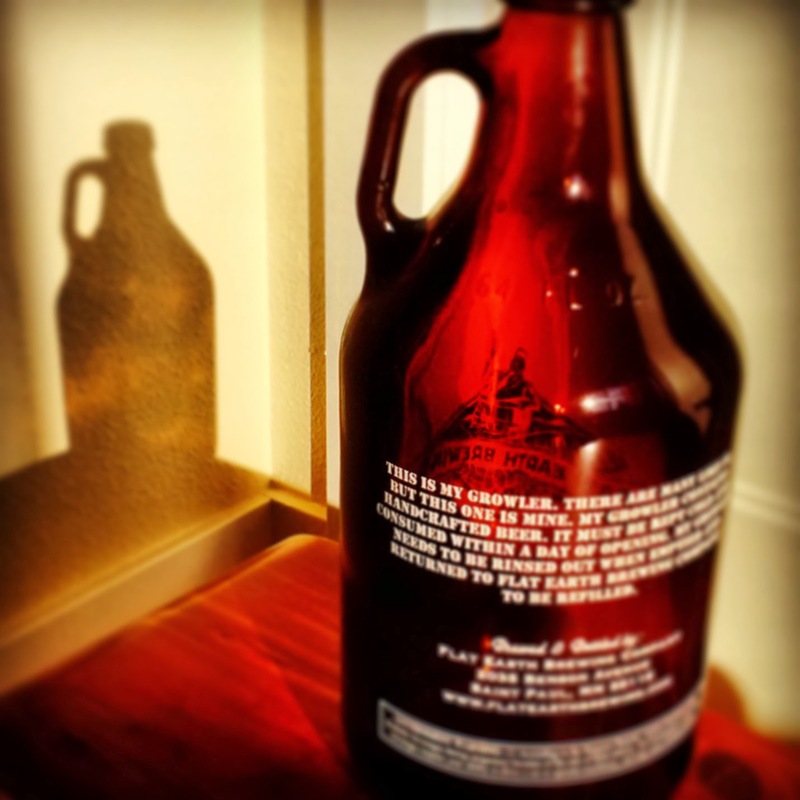 For your portable drinking needs that won't break the bank here's a list of growler fill deals for every day of the week. I imagine there are others that I've missed so if you know of any, please share your knowledge by putting them in the comments section. Did you know that all but five states have exceptions to the minimum legal drinking age of 21? I've known for some time that in Wisconsin it is legal for a parent to take a minor into an establishment, order an alcoholic beverage for the minor and allow the minor to consume it. Wisconsin is known to be liberal in the area of drinking laws so that didn't surprise me. Finding out that the majority of other states had exceptions as well sure did though. According to ProCon, a "nonpartisan, 501(c)(3) nonprofit public charity," only Alabama, Arkansas, Idaho, New Hampshire and West Virginia have no exceptions to the law. With that being said they do allow that they are only talking about state laws and that there may be county and city ordinances in place that are more strict and do restrict underage drinking. Still I find it amazing that there are laws on state books that allow for underage alcohol consumption (not that I disagree with it). It was numbers five and six that at first made me say, "What?!?" Upon reading the examples it made a bit more sense. Apparently "government purposes" include working undercover with police and participating in government research and "educational purposes" refers to students in culinary school. I can only imagine that number four, "for medical purposes," are from long ago when you could actually be prescribed alcohol as a medical treatment by a physician. For all the details, head on over to their website and peruse until your heart's content. While there are a lot of details there it's decently arranged and easy to read. Or skip that and share your thoughts on this with a comment. A new year is upon us, a clean slate with endless possibilities. I started mine off with a trifecta of big beers from near and far. Since recovery is best accomplished with delicious grease and beer it was a no brainer to head to Fire on the Mountain for wings and fries, which I accompanied with Humble Brewing's Imperial Pale Ale. If you read my last post you know I'm an IPA girl, not a pale ale girl but taking into consideration that this was an imperial pale ale (8.5% ABV) it ended up having enough heft to suit me just fine. I got into my regular groove with my next beer - an IPA, ok, really a double IPA. While out beer shopping a couple days prior I ran across DirtWolf from Victory Brewing, a Pennsylvania brewery that generally turns out a fine product. This was as good as other brews I've had from them with a great aroma and hop forward flavor. Continuing to up the ABV ante and add the proverbial cherry on top, the next beer was dessert. 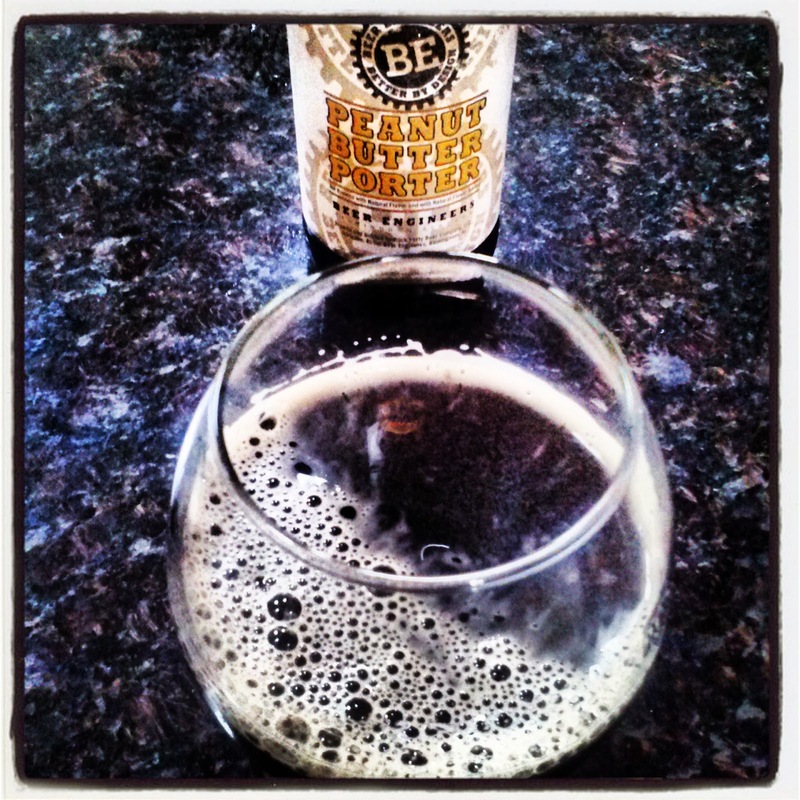 A gift from one of my generous friends, Peanut Butter Porter from Beer Engineers, lived up to expectations. 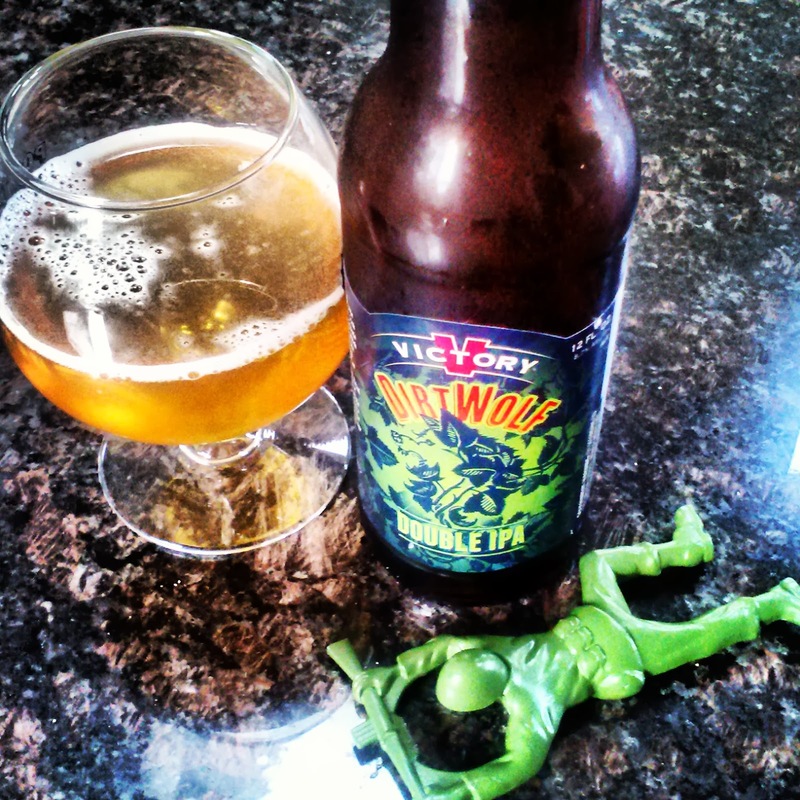 This 12% ABV sipper gave off a pleasant peanut aroma and had a mellow yet pleasant more-vanilla-than-peanut-butter flavor. I hope your 2014 started out well. Did you kick it off with something(s) new or take comfort in your favorite beer(s)?